Alan instructs early career historians in the art of hand-waggling. 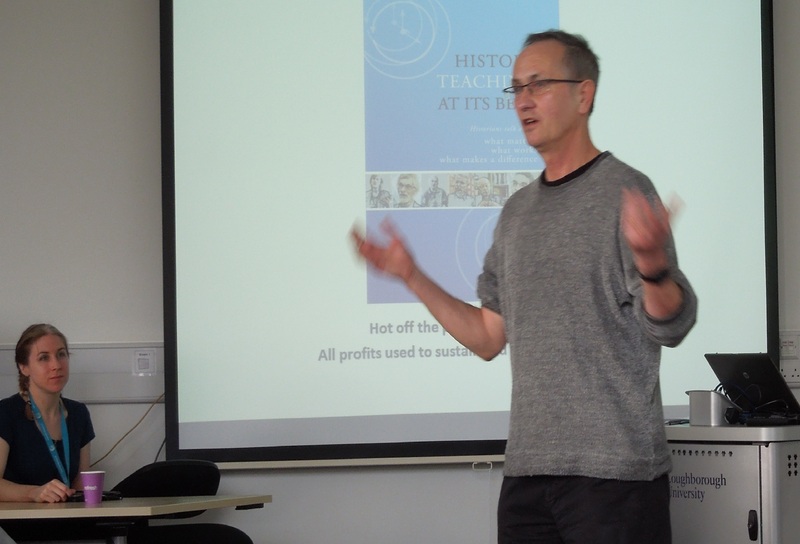 A couple of weekends ago I attended a two-day ‘New to Teaching’ workshop for historians at Loughborough University (thanks to Marcus Collins – see his blog of the event on this site). It was impressive to see the historian presenters talk with passion and clarity about the key elements of teaching our subject in higher education and provide practical advice to those beginning their careers. 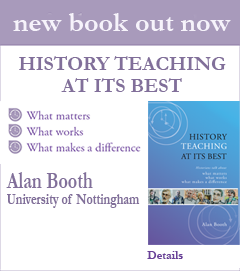 And it was a welcome reminder of the quality of the next generation of history teachers in higher education. These mainly postgraduate students were enthusiastic about teaching their subject and its potential to transform students learning and lives, and they had great ideas they were keen to try out in their classes. Many of those attending were both looking forward to their teaching and also slightly nervous. It reminded me of how I felt when I started out as a new teacher but also made me reflect on how every new class is full of possibility and unpredictability. For as all teachers preparing to go into that class know, there is always an air of hopeful and, at the same time, slightly nervous anticipation. Indeed without this slight edge of nerves I have always felt as if I was not quite match-ready; not poised to perform to my best abilities and get students to perform to theirs. The class that starts a new academic session or new module is especially important. I’ve written about this elsewhere (in Teaching History at University), but it’s worth repeating that the first class really does set the tone for the whole programme as it conveys strong messages to students about what teaching and learning the subject will be like and what are their own responsibilities and yours as the teacher. In that class there will be students who want to be on this module, those who have missed out on other choices, non-history majors, study-abroad students etc. etc. Some students will feel anxious about whether they will cope; others will be more relaxed, perhaps being familiar with the teacher or more confident about their prior knowledge base. It will contain a mix of motives, drives, experiences and expectations, and it’s likely that most of the students will not know each other. To get this class working productively as individuals and collectively is the job of the teacher. Whilst it is clearly important to go through the module handbook and describe the teaching methods, assessment practices and the learning outcomes with clarity, this is not the most important thing (and anyway students often see this as so routine they switch off). Whilst there is inevitably a lot of housekeeping to be done, the most important thing in my view is to set the tone you want, and this is about both you and them – if I can put it in such separated terms. All history lecturers have their own ways of doing this. Quite rightly we play to our personalities and our (albeit often prior and sketchy) assessment of the students in the class. In our film interviews and the responses to our UK survey, many suggestions are made: the importance of learning names; student introductions; negotiating ground rules; brainstorming activities of various kinds etc. In this class one has to be particularly observant, and in all this group ‘forming’ activity students need to be as actively involved as possible – after all this is their class and only they can do the learning. ‘In a good history seminar you feel part of the group and are more likely to talk. If you feel threatened you just keep quiet, and after a while you get bored’. These comments say a great deal about what is needed. So, there is always a lot to do in the first class. But the most important thing is the tone created that begins the whole process of generating a productive ethos that we’re looking for across the Semester, and here the teacher’s role is critical. Don’t forget that who you are is just as important as what you do, and that getting across your enthusiasm and care for the subject, students and teaching is vital. It is the initial step to forging the positive relationship with students that is at the heart of all good teaching and thus creating the sort of environment that makes everyone want it to work (well, almost everyone).